Pays you a cash lump sum for broken bones, fractures, various dislocations & ACL's + Hospitalisation payments for up to 45 days. The cheapest way to get instant cover and helps to pay the bills when you can't work due to injury. Pays you an ongoing monthly income when you're injured and signed off work, also covers illness too. Pays out for up to 12 months per claim. Provides financial security to ensure you can still pay your bills. 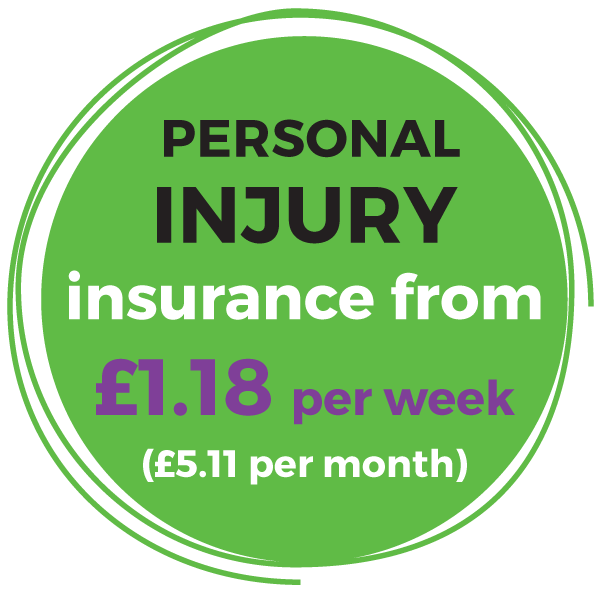 Pays you an ongoing monthly income when you're injured and signed off work, it also covers illness too. No limit to length of a claim so, should the worse happen, it can pay each month all the way up to your occupational retirement age. Provides long-term financial security to ensure you can still pay your bills. Insuring your bike with this unique wrap-around policy, provides round the clock peace of mind. What makes it unique? You are not asked to list your bike(s) make or model, nor is there a need to list its value. 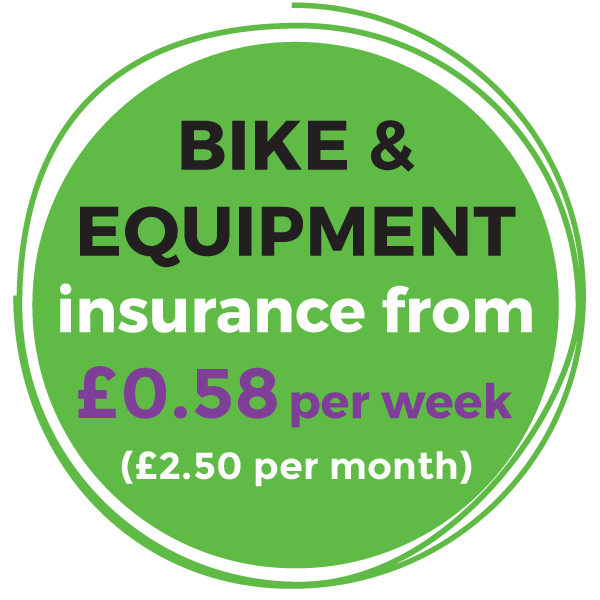 Simply choose how much cover you need, from just £500 all the way up to £10,000 and it covers not only your bike, but any sports or activity equipment that you own, up to the amount of cover you have chosen. For example: If your bike gets wrecked or stolen, you can claim for that, but if you accidentally smash your surfboard or your tent gets blown away and lost, then claim for those instead... that's unique! So, you got your bike covered... What about your body armour, helmet, or even your Go-Pro? These things can all be expensive, so we give you an option to add cover for these items too. Again, no need to list items or values; simply choose how much cover you need, from just £500 all the way up to £10,000. This will cover all your sports / activity clothing and personal effects up to that value.